Pilkington Profilit channel glass is available in lengths up to 23 feet, can be installed vertically or horizontally, and can be formed into straight or curved walls. It is available in a variety of textures and colors with varying degrees of translucency. 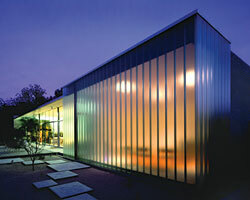 The product can be used in interior or exterior applications.